You’ve got questions; we’ve got answers. 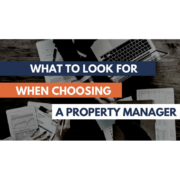 Specialized Property Management compiled a list of the top ten questions we get from property owners, along with the answers. 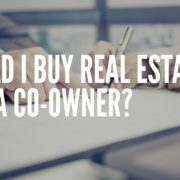 How do I get my property rented out more quickly? Make sure your property is ‘rent-ready’. Dallas property management company Specialized Property Management has the tools and knowledge to get your property ready, and we’re ready to market aggressively for you. What can I do to make sure my property gets rented and stays rented? The best way is to improve tenant retention and to maintain your property. We can help you build a proactive tenant retention plan. Rent collection is not always pleasant, but it’s an important part of Dallas property management. Using strict rent cycle enforcement and automated collections are two stress-reducing options. How can I better protect myself legally as a landlord? Strong legal counsel, proactive attention to compliance, and complete up to date local, state, and federal regulatory expertise is a must to have in your corner when managing a rental home in Dallas. Owners can rest easy with our Specialized Team on their side. 24/7 response to tenant emergency maintenance needs along with proactive maintenance inspections of your property help to save our property owners money. Even if you have the time, energy, and expertise to manage your rental home, it usually costs more to self-manage due to things like legal fees and longer vacancies. Let Specialized Property Management handle your Dallas property. Management doesn’t have to be a hassle or expensive! Won’t professional fees hurt my cash flow? At Specialized Property Management, our cost-effective fees pay for themselves, with faster leasing and fewer mistakes. Partnering with us means more savings for you. Specialized Property Management offers an owner’s portal you can access 24/7 for updates as well as 24-hour live person phone support. Always be in-the-know about your Dallas property. Management has never been simpler. Ask us for a comparison checklist as you interview your options. We can help you know what you’re getting or what you might be missing out on as well. At Specialized Property Management, we offer our customers unsurpassed service, the highest standards, affordable fees, and no hidden charges. Specialized Property Management has an experienced team with proven processes. We strive to be number one in Dallas property management, and we’d love to show you all we have to offer. Call today!